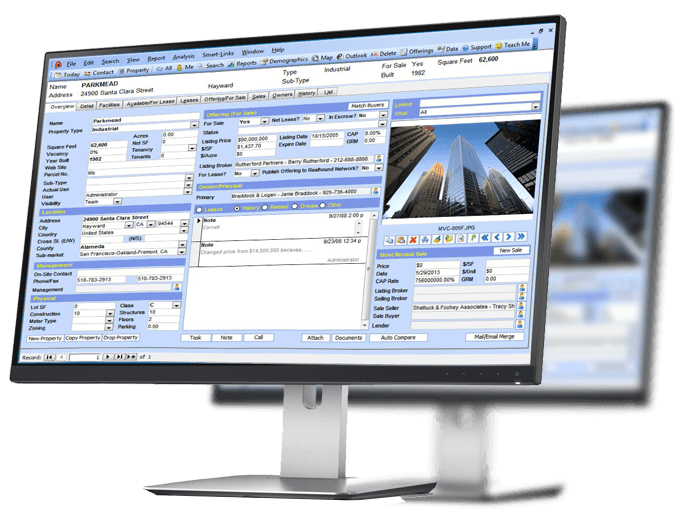 REALHOUND® Classic is an amazing power-tool, a powerful real estate CRM for Commercial Real Estate Professionals! Top producers across the United States and beyond use it to dramatically increase their income and improve their business. Please enter some information about yourself and you will receive a link to download the REALHOUND® Classic trial version. An amazing power-tool for Commercial Real Estate Professionals! Tracks historical apartment rents, office and industrial leases, buyer’s needs, documents and marketing activity. Contact and property screens give you all of the most pertinent information you use over and over again throughout your day, right in one place. If you have a note you want linked to multiple contacts and multiple properties, you only enter it once. Single box for you to search all of your contacts. If you search for “William” it will also find anyone named “Bill” in your database. REALHOUND® will give you more time to devote to things like making calls and meeting with clients.